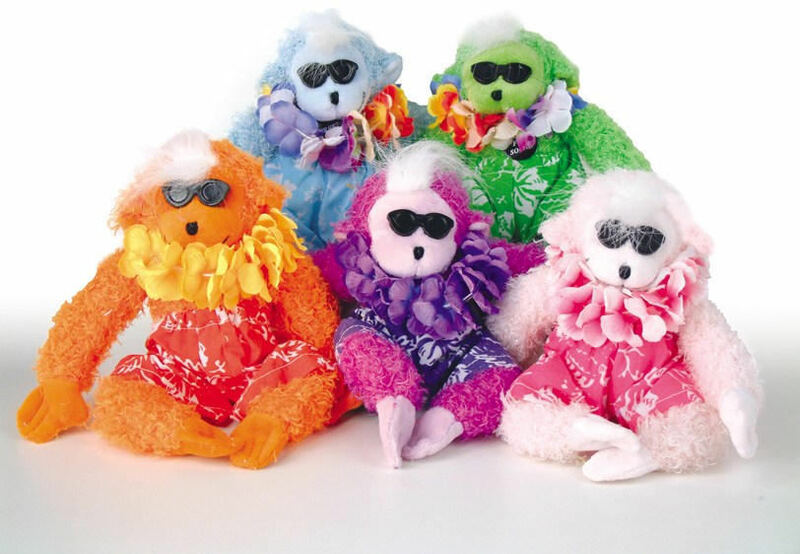 The coolest new collection of plush, swinging, singing monkeys in bright colorful fur with fun tropical costumes! These Funkee Monkeys are sure to be a hit with everyone! Press the button to activate monkey sounds. Size (inches): 7.09" X 5.91" X 3.15"
Each monkey stands 9 inches tall.